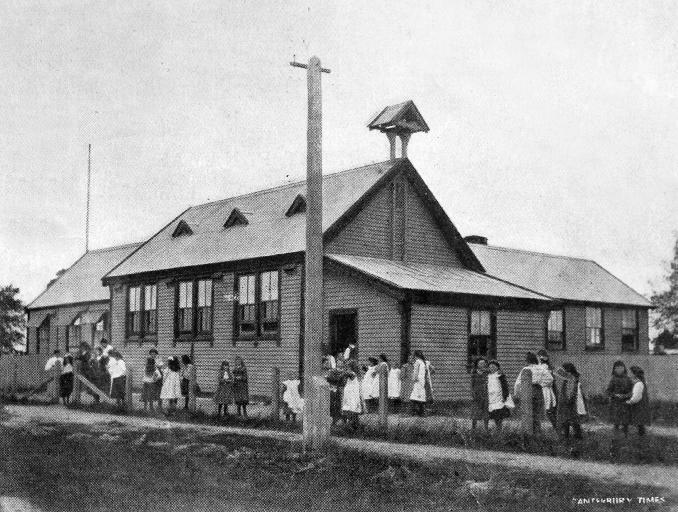 Description: The Southbridge School opened in November 1868 with a roll of 20. Additions took place to the original school and it reached a peak roll of 389 in 1890. The Southbridge District High School which opened in July 1903 utilized part of the school buildings. The buildings remained until October 23rd 1924 when they were destroyed by a suspicious fire. The new secondary block was built on the old site whilst the primary school was rebuilt on the opposite side of Hastings Street.